Everything you want from a fishing vest—upfront placement, organization, easy access—without the vest. 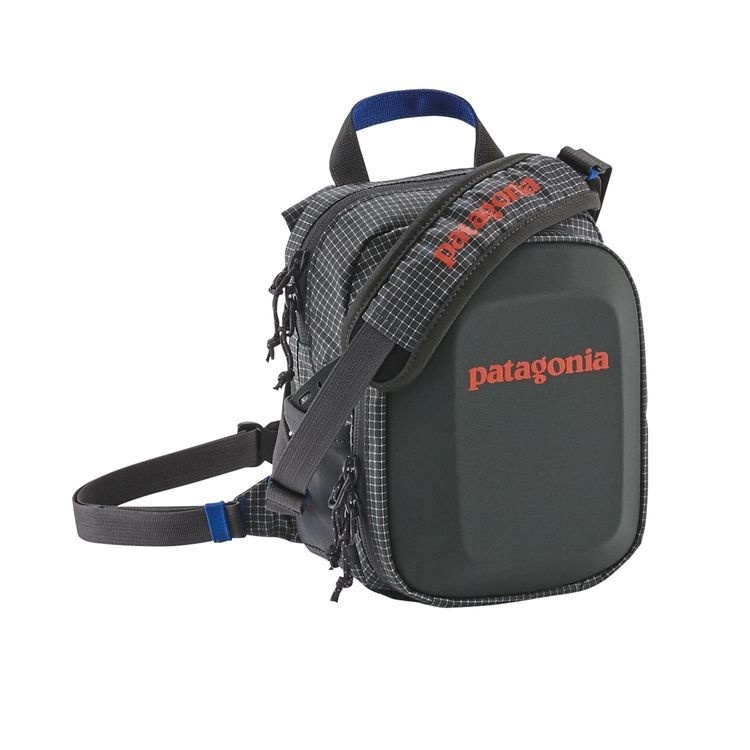 Made from tough, polyurethane-coated 5.5-oz CORDURA® 86% nylon/14% polyester ripstop fabric with a DWR (durable water repellent) finish, the Patagonia Stealth Chest Pack is an ideal solution for the minimalist angler. Featuring a zippered main compartment big enough to hold two large fly boxes, it also has a top-access mesh-lined drop-in security pocket and interior hook-and-loop-closure organizer pockets. The molded, drop-down front panel easily deploys to create a flat workspace and provide access to the built-in, ripple-foam fly keeper, while the stretch-woven nylon back panel and fully adjustable neck and waist straps allow for layering and provide comfort for long days on the water. Patagonia's Fitz Roy Trout logo is molded into the back panel; pack volume is three liters. 7.8" x 6" x 4.7"